Here is a picture of Bay Street along the Mystic River, taken just after snowfall in January 2016. We decided to go with an older feel that preserved the bright snow and the white fence. The tall ships visible in the background are moored at the historic Mystic Seaport. 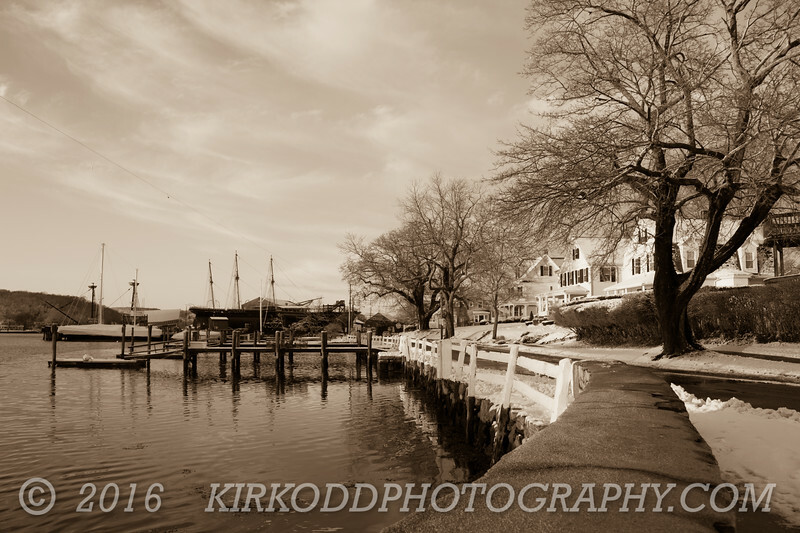 If you're ever in town, consider a stroll along Bay Street for some beautiful views of historic Mystic, CT.